Save 76% off the list price when you buy this Amazon Deal of the Day! 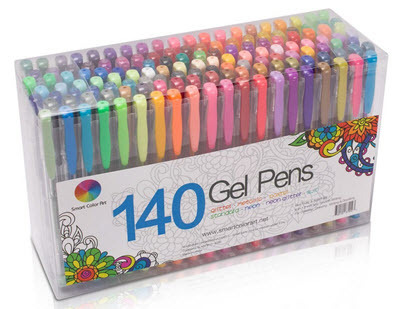 Get the Smart Color Art 140 Colors Gel Pens Set for only $16.99 plus free shipping with Prime. Includes 31 glitter, 27 neon-glitter, 25 metallic, 13 standard, 4 swirl, 20 pastel, and 20 neon. Perfect for scrapbooking, journaling, writing, and more.